The all day Trafalgar Game to celebrate St George's Day. All ships supplied and painted by Matt, along with his home-brew rules, a cross-breed of Wooden Ships and Iron Men and a bucket of dice. Admiral Telson commands the British as they engage the joint French and Spanish force commanded by Martin (Admiral Villeneuve) off the coast of Spain. After much cajoling by me over a number of weekends Ray finally decided to show his face at the Tueday club, probably for the first time in over a decade. Ray had a chat with Martin about Battletech, plus a natter with Jim and Graeme, the surviving old timers from Ray's original time at the club back in the 80's and 90's. 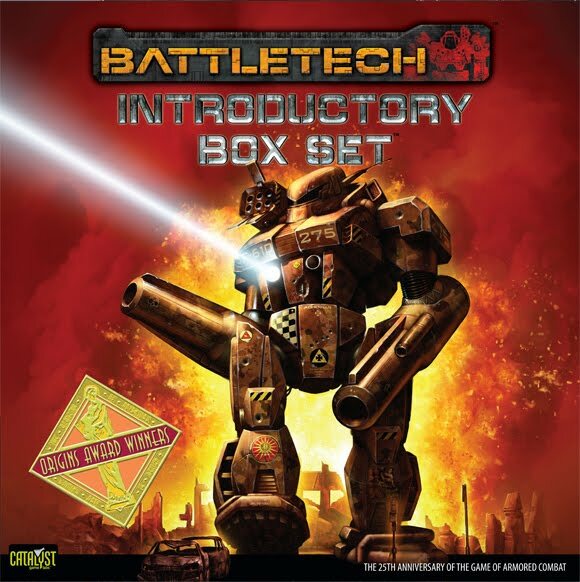 Obtained the new "Battletech 25th Anniversary Box set", the release of which is running a few years late due to various shenanigans, including attempts to bring the 'unseen' back and some dodgy in house dealing.